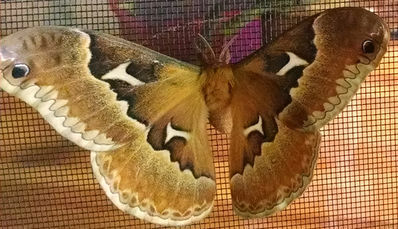 Sometimes when I scramble into my bunk at night, I take notice of a particularly large moth clinging to the screen beside my bed. When I wake up, I find that same insect perched in precisely the same place. Other times, I find myself in the bathroom and discover a cave cricket has made itself comfortable under the sink. When I return hours later, I find that it has remained in the exact same position in which I had found it earlier. To me these instances beg the question – what do these creatures accomplish by sitting in one place for hours on end? More often than not, the culture we are a part of attempts to establish the need for us to fill the time in our lives with things. These things take the form of work, education, sports, family, friends, and artistic endeavors – among countless other activities. While none of these are inherently bad, they cause us to feel as though we have a constant need to be busy. We question what we are doing if it is not immediately accomplishing something. I know myself to be guilty of this. I always want to know the purpose of the actions I perform. I want to know that the words I say make an impact, and that others understand and apply the lessons I teach them. I workout and expect to see more toned muscle and decreased weight. I take a guitar lesson with the intent to play music in the end. I talk to my family to let them know that I love them, and to receive assurance that they, too, love me. I spend time with my friends to make memories that bolster and solidify lasting relationships. I expect results in all aspects of my life. But seeing a moth or a cricket simply be in one position turns my head and captures my attention. I have no theories as to what their purpose is while they hold their pose for the unforeseeable future. Upon thinking about it, I conclude that they are being. They are existing one moment at a time. Perhaps these creatures that most of us have the impulse to crush or shoo away can teach us a lesson in how to form a mindset toward life that does not clamor for goal-oriented, result-producing, schedule-filling things. One of the best things about Falling Creek Camp is the two times during the day where the boys are given freedom to choose whatever they want to do for that block of time. Above all else, my favorite thing to see the campers doing with this time is wandering around in the woods, getting dirty and exploring the natural world around them. When I catch glimpses of these trailblazers making their way around the mud and through the trees, I feel grateful to be a witness to such small acts of wonder. And though I feel a slight pang of jealousy that I no longer see the world in the way these young men see it, I remind myself that I need to think like the moth or the cricket who, like the boys, take life one moment at a time.